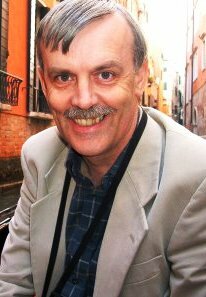 Welcome to the latest instalment in Crime Watch's ongoing series of quickfire author interviews; 9mm - 9 MurderMystery questions put to a variety of New Zealand and international crime, thriller, and mystery authors. Who is your favourite recurring crime fiction hero/detective? Impossible to pick just one! Apart from the usual suspects (Holmes, Poirot, Marple and so on) and the great modern characters (Dalziel, Matt Scudder etc) I'd like to put in a word for Christopher Fowler's duo Bryant and May, who are very appealing. I've never met Chris Fowler, but I'm thrilled that he's contributing a new Bryant and May story to the next CWA anthology that I shall be editing, ORIGINAL SINS. What was the very first book you remember reading and really loving, and why? THE ISLAND OF ADVENTURE by Enid Blyton. I was very keen on Blyton as a small child, and above all the stories that included a mystery element, including the Famous Five books. Blyton, like Christie, has her detractors, but there are powerful reasons why her books are still popular. Before your debut crime novel, what else had you written (if anything) unpublished manuscripts, short stories, articles? I always wanted to be a crime novelist, but before I managed to achieve this, I published several legal books and many articles. My first published book rejoiced in the title of UNDERSTANDING COMPUTER CONTRACTS. I also wrote a thriller about football called DEAD SHOT that I never submitted for publication - just as well, it has to be said. Outside of writing, and touring and promotional commitments, what do you really like to do, leisure and activity-wise? I'm very keen on soccer, cricket, films, music and travel. The challenge is to find time to fit them all in! What is one thing that visitors to your hometown should do, that isn't in the tourist brochures, or perhaps they wouldn’t initially consider? They should walk round Lymm Dam, a lake that my house overlooks, which is fascinating and lovely at any time of year. If your life was a movie, which actor could you see playing you? I'm tempted to say Woody Allen, but I'm neither bespectacled nor Jewish. I'd be very happy with Robert Lindsay or Trevor Eve, two terrific British actors, but sadly I don't resemble either of them that closely, either. Of your books, which is your favourite, and why? Not easy to choose. I'm very happy with the latest, THE SERPENT POOL, a Lake District Mystery with a complicated plot that I think fits in well with an atmospheric setting and in-depth character portrayals, while DANCING FOR THE HANGMAN, which I loved writing, was an exercise in creating a novel based closely on fact but fictionalising the aspects of the Crippen case that remain unclear, and which have baffled people for a century. Among the Harry Devlins, WATERLOO SUNSET was fun to write - the closest to a thriller that I have come, so far. What was your initial reaction, and how did you celebrate, when you were first accepted for publication? Or when you first saw your debut story in book form on a bookseller’s shelf? The news that ALL THE LONELY PEOPLE had been accepted for publication was a dream come true. It was a very happy time as my wife was expecting our first child. I celebrated with champagne, but unfortunately she had to miss out for a few months! What is the strangest or most unusual experience you have had at a book signing, author event, or literary festival? Thank you Martin Edwards. We appreciate you taking the time to talk with Crime Watch. So what do you think of Martin Edwards' answers? Have you read any of his crime novels? The crime fiction anthologies he's edited? Or his blog? What do you think? Have you met him at one of the various festivals he attends? With the upcoming World Cup skyrocketing interest in football, is it time for DEAD SHOT to be revised and released? Thoughts and comments welcome. Craig - Thank you so much for doing this interview. I thoroughly enjoyed it! 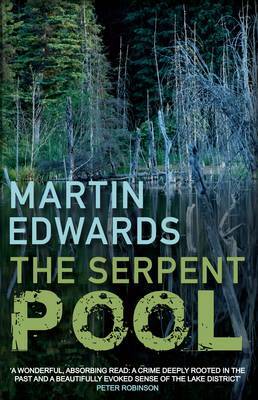 And Martin - The Serpent Pool is an outstanding book; I'm not surprised it was your choice for your favorite. By the way, folks, if you haven't read Martin Edwards' terrific blog, I highly recommend it. A fine interview, Craig (and Martin). And The Serpent Pool is a novel to be proud of!